Turkish Airlines has launched daily flights from Abu Dhabi to Istanbul, almost doubling the weekly flight frequency from four to seven services. The winner of the ‘Best Airline in Europe’ award at the 2015 Skytrax World Airline Awards, Turkey’s leading carrier has also unveiled additional flights to Dubai, increasing its capacity on routes to the most populous city in the UAE by nearly 50%. A bold move that indicates growing confidence in the market, strengthening the direct flight routes between Istanbul and the UAE will inevitably support direct investment routes between the two nations, increasing foreign direct investment (FDI). Establishing a greater physical connection between Istanbul and central cities within the UAE could create an array of opportunities for potential investors looking to Turkey, particularly in relation to the country’s thriving property market. Additional flights suggest an increase in demand and with holiday and business travel to Istanbul growing, so too will its attraction as a viable investment destination. Istanbul Ataturk Airport, the home hub for national carrier, Turkish Airlines, is now Europe’s third busiest airport according to the latest traffic figures released by anna.aero, a leading provider of airline network news and analysis. 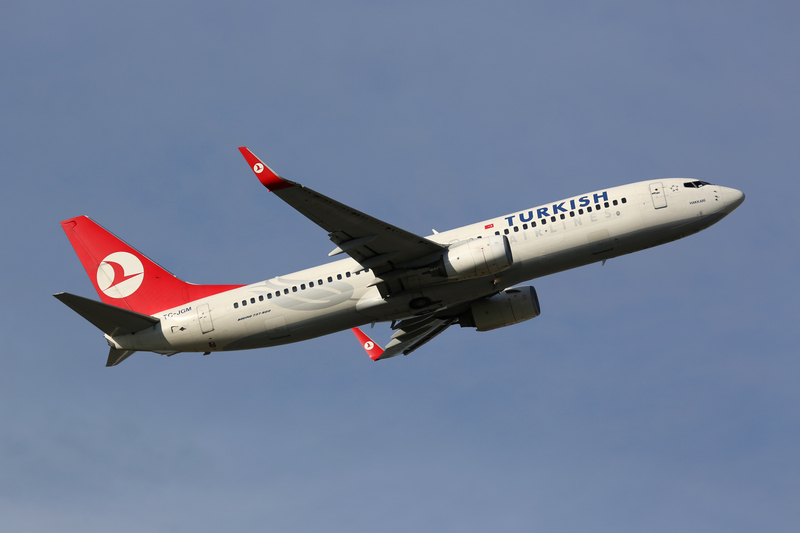 Their data for 2015 revealed that Istanbul Ataturk’s passenger numbers have grown by a colossal 164% since 2007. This significant increase of activity at Istanbul Ataturk is paving the way for the construction of Istanbul’s aptly named New Airport, set to become one of the biggest and busiest international airports in the world. Once the fourth and final phase of construction is finished in 2028 it will boast six runways, generate over 200 new routes with flights to 350 destinations and an annual capacity of 200 million passengers, more than double that of Dubai International Airport’s 2015 record of 78 million passengers. Universal21’s most recent development is the Crest Plaza Residence, situated in the Beylikdüzü area of Istanbul. Crest Plaza Residence is well-located for both transport links and amenities, with the beach just a ten-minute drive away and Ataturk airport and Istanbul’s New Airport only a 20 minute drive away. Formed of two blocks of 11 floors and a total of 199 apartments, Crest Plaza Residence boasts a wide range of facilities including fitness centre, swimming pool, Turkish bath, steam room, sauna, health club, cinema room, meeting room, BBQ terrace, games room, library and children’s playground. Starting at £60,000, a range of spacious one, two and three bedroom apartments are available, with the additional choice of duplex roof apartments. All either overlook the landscaped gardens or a newly appointed park soon to be completed and the project also has the benefit of 24-hour security. ← It’s time to go mad for buy-to-lets in Madrid!